Film Premieres are strange things. When you see the beautiful blonde models with giant breasts going around smiling at everyone, you wonder if they were there at 3am on day twenty three of the shoot. My guess is that they weren't, but I shouldn't judge. I'll be honest; I didn't enjoy the movie. And judging by this morning's reviews, neither did a lot of people. But I don't want to be too harsh on a film that was put together by two first time feature producers - and the first features from the Writer and Director. Obviously, the fantasy is that the first film you make is your Reservoir Dogs, your Clerks. But that is rarely the case. Especially, it seems, in the UK. So I view this film from two points of view. The first being the massive achievement of a team of highly productive young filmmakers, and the second point of view is of the film itself; which was sadly quite poor. In the Q&A the Director, Steve Kelly, talked about the attempt at an unusual narrative structure, and how the stories don't necessarily link up but they do add something to the others. Although that may have been the idea, on screen it didn't come together. 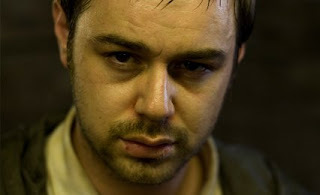 Danny Dyer is appealing on screen, as always; but pretty soon you realise how one-dimensional his acting style is. You get one emotion from him. One thing that must be recognised is how beautifully shot the film is. Adam Levins visual style is breathtaking. Rarely have some of the grimier parts of London looked so breathtaking. This is one of the best films I've seen about London, visually speaking. In that respect, I like the film; it sets a tone which is marked by the visuals, the music and the mood of the characters. However, in terms of the story and the characters it falls very flat. It's impossible to care about the characters. The one story that was handled really well was of the two brothers and their quests to deal with their sexuality. But this was ruined at the end when one of the brothers suddenly left behind his autism to show an emotion which, realistically, he wouldn't be capable of -- and it ruins the moment. Overall; congratulations to Dean Fisher and William Borthwick for putting together a stylish looking film -- and I am confident their future endeavours are going to be an important part of the film industry. 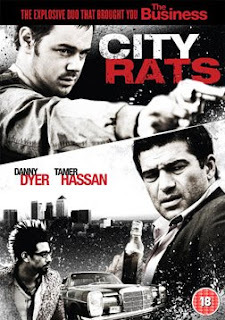 The down side with City Rats was the screenplay itself. The Writer and Director beamed with self-importance, as did the actors, at their piece of art. But unfortunately for the viewers - we all left without finding the art they all spoke of. I love Tom Hanks. Not in a gay way. But I love him in the same way I love Jack Lemmon and Jimmy Stewart. Hanks was probably the first person I actively begun to follow when I realized I was going to be a film lover rather than an ordinary functioning human. I loved the Ephron Rom-Coms, I loved the Oscar-winning stuff - and I loved all the old stuff like Punchline and The Burbs. Back then, Hanks was really Hanks. In fact, he was probably at his most Jack Lemmon back then. My concern is that he just doesn't take risks anymore. He just seems to take the pay-cheque. I would love to see him in a low-budget comedy, something that tries to be a bit different; but it's just not something that Hanks ever does. The strange thing is that the Tom Hanks everyman character doesn't seem to excite so much anymore. A part of me would be more drawn to see a Will Smith blockbuster than the latest Hanks flick. I see his career in three stages. The first was the 'earlier, funnier ones'. From Splash in 1984 through to A League Of Their Own in 1992. 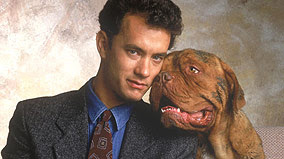 This was a great period for Tom Hanks; whether the films were brilliant fun like Turner And Hooch or pathetic like The Man With One Red Shoe, one thing stayed constant -- Hanks was just so compelling on screen. Whether he was spying on weird neighbours, going on stake-outs with a dog or dating a mermaid; you just went along with it. He was just so appealing to watch, so funny, and so interesting. The second stage is where he went from being a great comedy actor to being an all-time great, a legend in his own right. From Sleepless In Seattle through to Road To Perdition. Career-wise, he did very little wrong. It could be down to his 'crack team of showbiz experts' as he often jokes. Or it could just be down to the fact that he was a dedicated, passionate, and risk-taking actor. It's hard to see now but to play a homosexual with aids, immediately followed by playing a simple, somewhat retarded Alabamian was a risk. Two risks that rewarded us with breathtaking and ground-breaking performances, and rewarded him with two back-to-back Oscars and a license to pretty much have any role he wanted for the rest of his career. And this is a license that, for many years, he used very well. In Sleepless In Seattle and You've Got Mail he was perfect. You can write them off as fluffy rom-coms, but I really like the films. 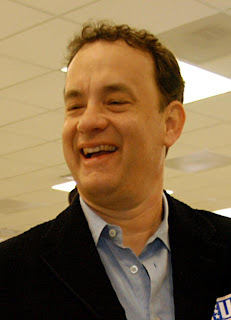 Hanks manages a state of complete naturalness. When you watch him talk, think and move; he is not an actor, he is not performing, he just is. In You've Got Mail you can see he's having the time of his life; bringing himself into the role in a way that parallels Jimmy Stewart in The Shop Around The Corner, from which You've Got Mail was adapted. Apollo 13, Saving Private Ryan, The Green Mile and Cast Away are, for me, completely perfect films. In these films Tom had perfected the art of acting. The art of becoming a role. Of course, in these films he got to work with masters of modern cinema - Ron Howard, Steven Spielberg, Frank Darabont and Robert Zemeckis -- so he was in good hands. With great writing and directing backing him he excelled. I could happily watch these four films on repeat for the rest of my life. His journey as a character in these films are like the journeys of the everyman getting through life. These are roles that define who Tom Hanks is and what he means to us. They are roles that proved beyond doubt that he is the greatest actor of our generation and quite possibly any generation. And then came stage three. From Catch Me If You Can through to Angels and Demons. You begin to see the pattern of him falling into the same films again and again. Rather than playing a complex and flawed character like Capt. Miller in Saving Private Ryan he played rather uninspired, predictable characters in his two next Spielberg films Catch Me If You Can and The Terminal. Both were watchable, in fact Catch is possibly quite good; but they're safe. By the numbers box-office fare that will happily yield a pay-cheque and a new offer after release. The same complaint could be made about Spielberg as it could Hanks but I'll save that for another time. The Da Vinci Code is the icing on the cake. 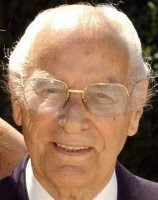 Rather than playing a heartbreaking Andrew Beckett or the conflicted Paul Edgecombe, he took on a role in the biggest franchise at the time. The Da Vinci book was hyped beyond control and the movie was guaranteed to rake in the dollars. Where Ron Howard's Apollo 13 was inspired and moving, Da Vinci is just dull, long and - well, you've all seen it, just bland. Of course, it's highly likely that Tom thought the film would be much better than it was; but then here he is again in the sequel Angels & Demons. For the first time in my life; I have absolutely no interest in seeing a Tom Hanks film. When you rack up his credits in the last seven years compared to those in the decade prior to that, it's sad to see how poor it is. It's not that he misfires; it's just that he is content playing with the big-timers in films that rarely have anything to say and the comedies like The Ladykillers and The Terminal lack the freshness of pretty much every comedy he did prior to the turn of the millennium. I worry. Not for Tom the working actor, but for Tom the artist. Tom the man who meant so much to us. The man who is now churning out the average on a consistent basis. Whether this is bad choices and safety or just pure bad luck, I don't know. I mean, I'd have thought having him acting out the words of Aaron Sorkin in Charlie Wilson's War would produce one of the greatest films of our time but it wasn't to be the case. Whatever happens, I feel that we are now approaching chapter four. His next few decisions will determine the rest of his career. I just hope he takes some risks. I am not claiming this is the only reason I love movies. For example, Natalie Portman is just as much a reason. However, this other reason has become more apparent to me recently. It's entirely possible that you'll say 'duh' - but at least, for me, this had never been obvious to me before. In many ways, my reason for loving movies is actually pretty much the opposite of escapism. If anything, films bring me right down to this very moment, this very second of breathing - they make me conscious, and present. Most of my professional life is spent chasing something - chasing career goals, trying to do things so I can get nearer to what I am trying to achieve. In many ways I am off in my own thought, far away into the future trying to make things happen. I used to think listening to music and watching movies were similar for me but I've since realised they aren't. Most of the time music transports me somewhere; quite often to my past, whereby my favourite songs or a wailing saxaphone will make me think of old girlfriends, old memories, etc. When I turn on the DVD player, or when I go to the cinema; I am entirely present in that moment. I am not worrying about the future, I am not thinking about the past. I am not lost in my thoughts or egoic conquests. Simply put - I am right there, in that chair, watching that movie. I watch movies to get excited, I watch movies to relax and I watch movies for all sorts of reasons. But now what I am taking notice of is WHY; why it is that movies do this for me. And it's precisely because I am not concerned about anything in my life; all of the problems and challenges that come with my thoughts; instead-- I am right here in this very moment. I am able to give myself over to the filmmakers. This may seem lazy and unconscious. But I don't think so. I am very awake, very alert. I listen to the characters in a different way to how I listen to my friends. When a friend talks, my viewpoints are tainted by judgement, by concerns, by wants and needs; the selfish parts of my ego, etc. But with films, it's different - I just let them tell my story and I let them take me on that ride. So it's dawned on me that I am actually most myself when I am watching films. They give me a chance to live and breath and experience something; whereas in almost every other situation I am clouded by thoughts, opinions, arguments, hunger, etc etc etc. I am not sure what this revelation means and I appreciate that I am probably stating the obvious. However, it's new to me, and I thought I'd ramble about it. What is good dialogue? Is it natural dialogue? I've heard myself speak, if that was put in a movie - no-one would watch. So what is good dialogue?. Good dialogue to me is like dancing. Likewise, bad dialogue can be as embarassing as seeing your parents dance. There's a rhythm to good dialogue. In a film like 'Manhattan Murder Mystery', where Woody Allen was really on-form, the one-liners just keep coming, and they fit so perfectly into the mouths of the characters that you just can't help but be swept away by it. Sam Seaborn: So, listen, there's a fire in Yellowstone Park. Josh Lyman: Well, put it out. Sam Seaborn: Technically, I'm not a professional firefighter, though there was a time I wanted to be. Sam Seaborn: When I was four. Josh Lyman: When I was four, I wanted to be a ballerina. Josh Lyman: I don't like to talk about it. Josh Lyman: I'd kinda like that not to get around. Sam Seaborn: Yeah. No chance of that. President Bartlet: [Later, that same day] Josh? Josh Lyman: Yeah, I didn't... I didn't know what it was at the time. I liked the word. President Bartlet: We'll go with that for now. Now, I LOVE this sequence - but is it natural? is it realistic? Of course not! But it's still great dialogue. So, whilst many people talk about loving natural dialogue; I strongly make the case that natural dialogue is bad dialogue. Maybe I am speaking from a comedy point of view. My favourite writers tend to be those who write comedy. Look at Diablo Cody's 'Juno'; that film was hilarious, and within it held many truths and many things I could relate too; and in that sense -- perhaps you could say it was realistic. But was the dialogue itself realistic? Honest to blog - no, it wasn't. 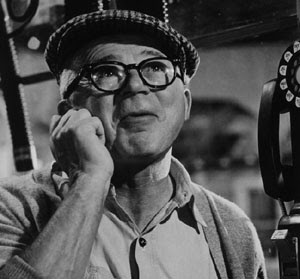 For my money the greatest dialogue writer of all time is Billy Wilder. When I watch his films or read his screenplays I could literally cry with joy. For anyone who likes to read, or live - I beg you to read 'The Apartment' screenplay. It is PURE magic. Billy's screenplays were not about realism. They were about something more interesting than that. In Billy's films we could learn a lot about his characters and a lot about ourselves. His characters feel like reflections of who we are; I feel like I know them, I feel like I could be them-- this is the magical world that Billy and his writing partners would create. But it's not REALISTIC dialogue, it's not NATURAL. The first time I saw 'Double Indemnity' was at a packed screening at the ICA in London. Everyone loved at the Medford line, it was hilarious. But as we left the screening, I heard people talking about how natural Billy's dialogue is. And I just don't get it. 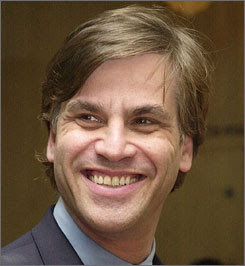 If Sorkin, Allen, Cody and Wilder's writing was natural would it be interesting? I think not. To call the dialogue natural is to do them a great disservice. They do something far more entertaining, moving and important than that. They do movie dialogue, and they do it better than anyone else.